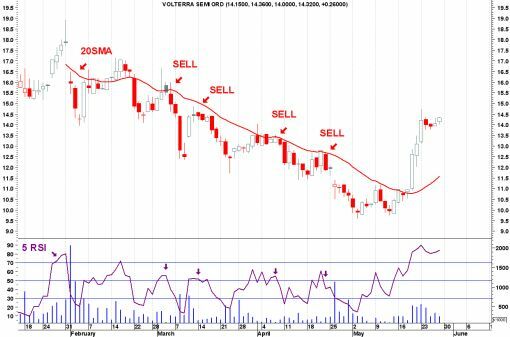 A simple stock market Swing Stock Trading system, is illustrated above, selling short on a down-trend. 4. Look for key Candlestick reversal patterns at the top of the pullback such as the Harami, Engulfing pattern, Dark Cloud Cover or the Evening Star Doji. 7. Make the stock trade! This is just one of many Swing Stock Trading System techniques. Author and expert Swing Trader Kevin Brown has created The Definitive Guide to Swing Trading Stocks. This program has earned a reputation as the #1 Swing Trading Course available online. Kevin has compiled over 20 years of his personal trading experience's and reveals his most effective swing trading methods in this program. He has authored the current Swing Trading page for Wikipedia.com to service as a worldwide reference for all swing traders. You also get 11 Free Bonuses, including the Swing Trading Calculator Software - which is a $99 value. Check out the Program Here for yourself. This is one of the best-selling video presentations on Swing Trading available today by world renowned stock trader Oliver Velez. In the video, Oliver Velez shows you the proprietary techniques refined over the years-presented in the most easy to understand way. These concepts form the corner stone of every sound trading strategy and, once mastered, traders will rarely find themselves on the wrong side of the markets. Reading charts successfully-especially Japanese Candle Sticks. This is an excellent video and how I started my education on swing trading. The Only Course that Provides Details On Every Aspect for Effectively Swing-Trading the Stock Market. Learn Swing Trading and More! Is there a specific Swing Trading Strategy or Technique that you use, that is not described on this page? Here is your opportunity to share your Swing Trading expertise and technique, to help and coach other newbie Stock Traders become more proficient and confident on their journey to Stock Trading Success and Profitability! Return from "Swing Stock Trading System" to the Home page "Stock Market for Beginners"